Sky View Observatory and Columbia Center today announced sweeping changes to the visitor experience, highlighted by an immersive elevator transformation that whisks guests 902 feet to the top of the tallest observatory in the Pacific Northwest in just 70 seconds, set to be implemented in the Summer of 2018. Seattleites and visitors alike will now be able to enjoy direct access from the distinctive new entrance at 700 4th Avenue, one block from Sound Transit's Pioneer Square Link Light Rail Station. 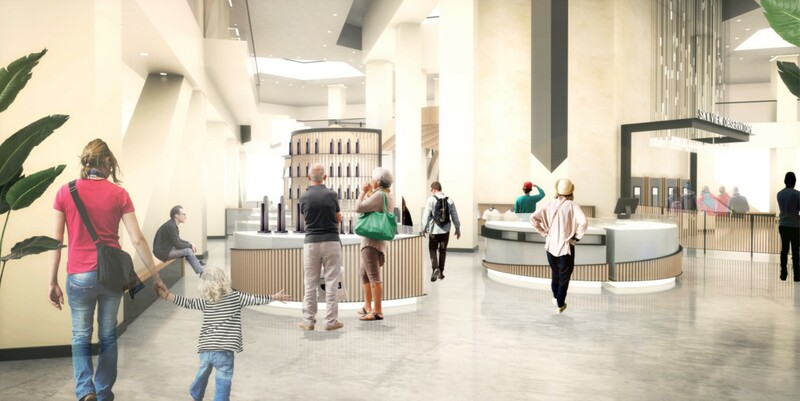 A re-designed atrium featuring a grand staircase on the ground level invites guests to explore the new retail location, first-floor ticketing and queue for the elevators. From there, for the first time, guests will have a single, direct-access elevator to the 73rd floor. This new pathway bypasses the tenant elevators and offices, features a visual journey of the Pacific Northwest, and deposits guests on the threshold of Sky View's breathtaking views. Upon arrival, the upgraded observatory offers visitors a 360-degree full spectrum panoramic view, which includes Mt. Baker, Mt. Rainier, the Cascade Mountains, Elliott Bay, the Olympic Mountains, the city of Seattle and The Space Needle. The refreshed interior features new technology displays at each vantage point to tell the story of what awaits guests in the city and the region. A heightened food and beverage experience will feature craft cocktails, local beers, boutique wine and artisanal light bites. 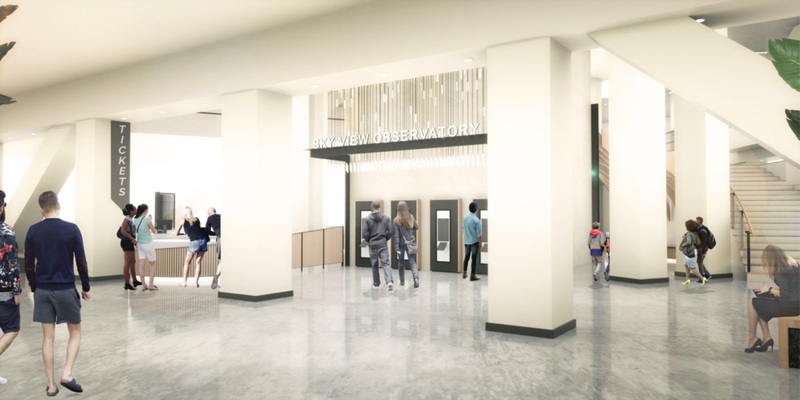 "The innovative upgrades implemented this year only reinforce Sky View Observatory as the first essential stop upon arriving in Seattle," Jennifer Tucker, Sky View Observatory General Manager, said. "The view is unparalleled, creating the perfect vantage point to begin any visit to the Emerald City. From 902 feet, guests will discover so many interesting opportunities to explore that may never have been noticed otherwise." Sky View Observatory is still open for visitors every day from 10 a.m. to 8 p.m. While the transformation process is on-going, guests can access the observatory through the 5th Avenue entrance and the elevators in the main lobby of Columbia Center. The building was designed by architect Chester Lindsey and is currently managed by Urban Renaissance Group., Inc. Sky View Observatory operation managed by Legends. Located on the 73rd floor of Columbia Center, Sky View Observatory features 360-degree views of Seattle and the surrounding region. Open seven days a week, this observatory sits at a height of over 900 feet.